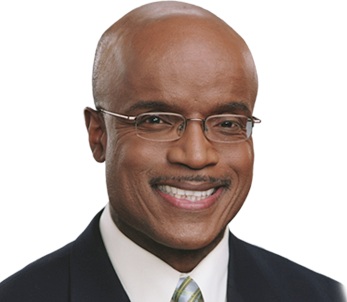 Don Roberts is WAVY-TV’s “Marathon Man.” He co-anchors 3 hours of news a day, first as co-host of the Number 1 rated morning newscast in Hampton Roads, WAVY News 10 “Today” 5:00-7:00am, and WAVY News 10 “Midday” at noon. Don also hosts a half hour talk show, BOTTOM LINES, airing Sunday mornings at 5:30. Don joined WAVY-TV in 1989. Before that, he was News and Production Director at radio station WRAP-AM. Don is an award-winning reporter, and a published author. His 1993 book “Rap to Live By” is a collection of positive poetry and raps songs for kids of all ages. “Rap to Live By” is published by Hampton Roads Publishing and it can be ordered by calling (800)-766-8009. His latest book, “Hey Daddy, Read This,” was published in 2004 and is available by clicking here or calling 1-877-288-4737. Well known for his love of softball, and chess, Don is a graduate of Towson University. Originally from Baltimore, Don and his family now reside in Newport News.